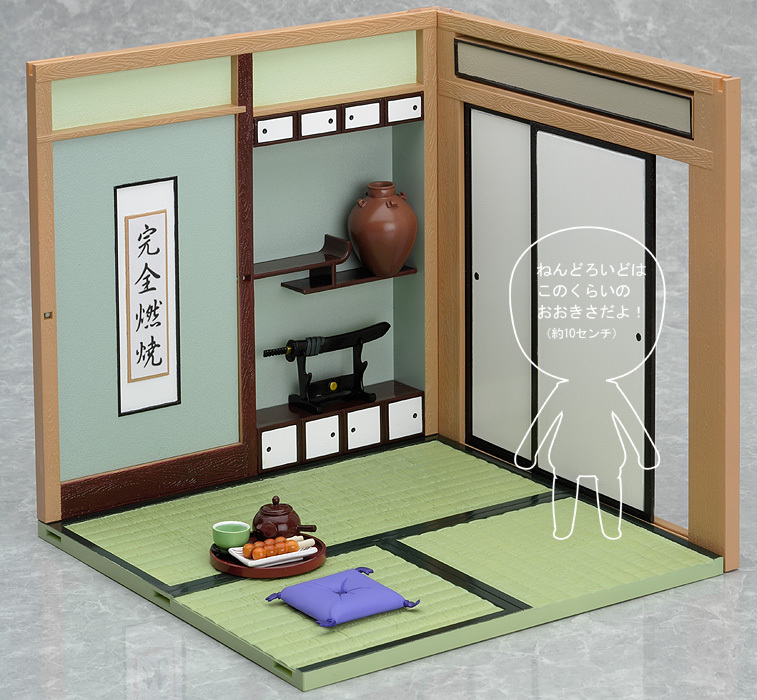 Due to popular demand, this diorama playset for Nendoroids is being rereleased! 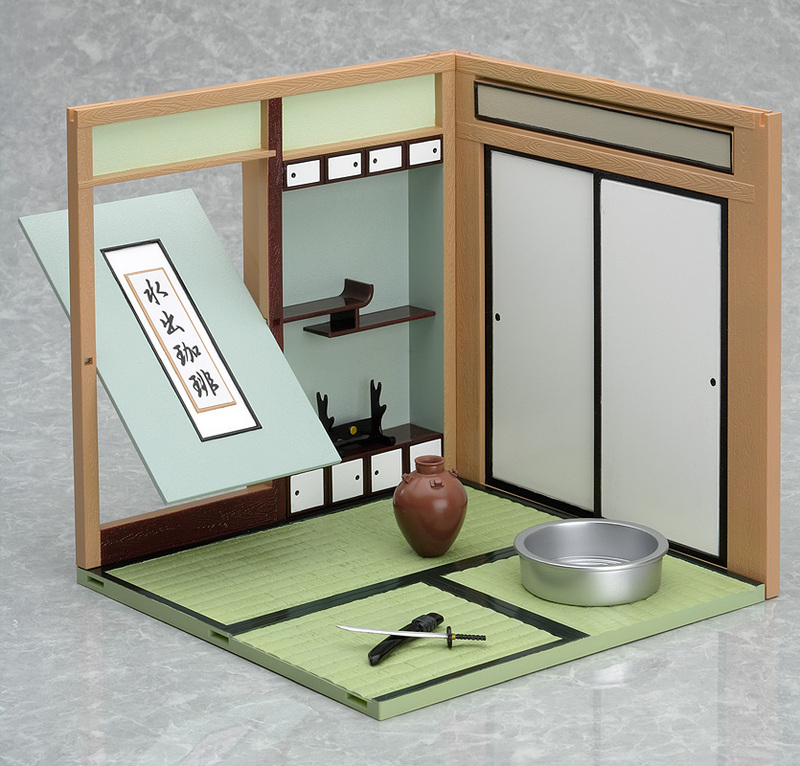 This playset is based on a traditional Japanese-style room and is separated into two sets; this B set features the guest room side of the room. One of the walls features a hidden spinning door. 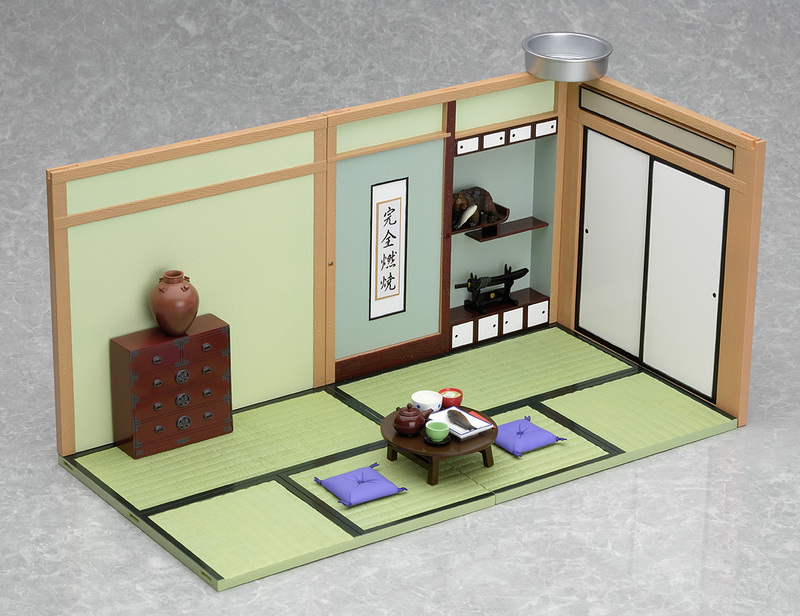 The texture of the tatami mats is also very detailed. The sliding door can be opened and closed. Some tea and dango are included to serve to guests. The A set and the B set can be placed together to form one large room. Pot, katana with scabbard and stand, cushion, metal basin, a tray, plates with dango, a small teapot, a teacup and a metal basin. ABS&PVC non-scale Nendoroid diorama set. Approximately 160mm in height. Originally released June 2006 with a rerelease in June 2010 and April 2017.